Nothing stands up to the abrasiveness of asphalt shingles like a Rotochopper shingle grinder. Less wear and maintenance delivers more of what drives your bottom line—uptime productivity. Individually, the unique features of a Rotochopper shingle grinder make a big difference. Together, they put Rotochopper shingle grinders in a class above any other shingle waste processing machines. 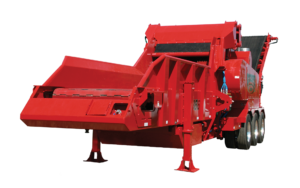 For companies processing wood waste and asphalt shingle waste, Rotochopper multi-purpose shingle grinders combine remarkable wear resilience with unparalleled versatility.